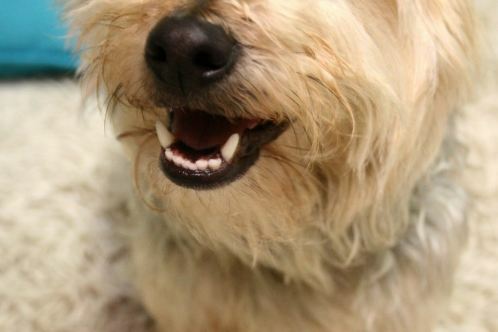 Homepage / Dog / How Many Teeth does an Adult Dog Have? How Many Teeth does an Adult Dog Have – An adult human has 32 teeth, but is this the number you will find if you decide to count your dog’s teeth? No. Effectively the number of teeth will vary depending on the age. 2x (3/3 Incisors 1/1 Canines 3/3 Pre molars) = 28 teeth. 2x (3/3 Incisors 1/1 Canines 4/4 Pre molars 2/3 Molars) = 42 teeth. Previous post Why Does My Cat Eat Plastic?